Tellus is providing the Electronic Visit Verification (EVV) & Claims Management Technology. DEERFIELD BEACH, FL, July 17, 2018 — Centric Consulting, LLC, and Tellus, LLC, are announcing the award of a contract to provide the State of Florida Agency for Health Care Administration (the Agency) with an Electronic Visit Verification (EVV) system of Home Health Services (home health visits, private duty nursing, and personal care services). The Agency is the single state agency responsible for operating the Florida Medicaid program. Florida Medicaid home health services provide medically necessary care to eligible Medicaid recipients whose medical condition, illness, or injury requires care in their place of residence or other authorized community-based setting. 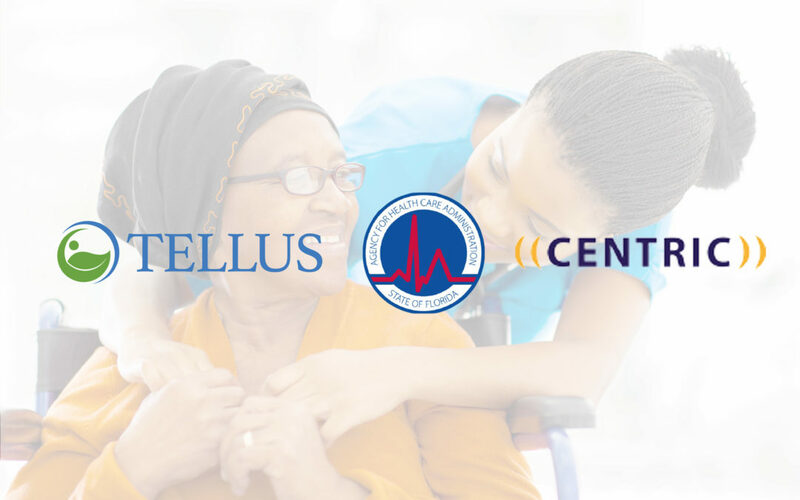 Centric is exclusively using Tellus, LLC, technology to provide the EVV system. The Tellus EVV system verifies the utilization and delivery of those home health services using modern technology that effectively identifies the delivery of the service, processes claims data and deters aberrant billing practices. The EVV system provides an electronic billing interface and electronic submission of claims for home health services that are verified by prior authorization, and produces reports for services not delivered as authorized. As the prime contractor to the Agency, Centric will provide services including project management, training development and delivery, quality management, policies and procedures, and overall contract oversight. The Tellus EVV system is a comprehensive point-of-care solution for the Agency that combines care plan compliance and claims verification. Features include task validation and visit approval, mobile application, GPS triangulation, integrated billing and reporting, claims submittal, eligibility verification, and an interface to the Florida Medicaid Management Information System (FMMIS). Centric Consulting is a business consulting and technology solutions firm providing full-service consulting services. Centric’s expert consultants help clients tackle their toughest business challenges with innovative, balanced, and measurable solutions. With more than 700 employees in 13 cities in the U.S. and India, Centric is known for helping clients drive operational efficiency, improve customer service, and increase profitability. Centric was founded in 1999 and is a privately-owned company.